This is Faith the other night. Not exactly her brightest moment. 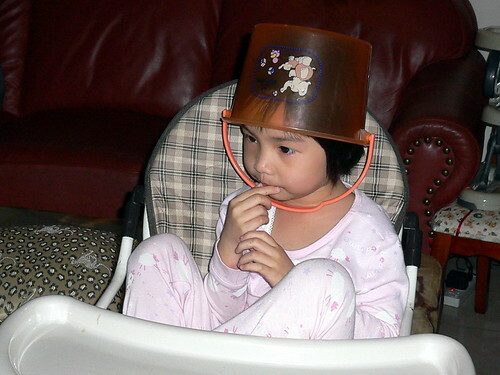 I have no idea what she was thinking donning the bucket on her head. Looks like I need all the help I can get from my fashionista friends. sunflower: Damn unglam lor!! How can!!?? Akk: Nope, that's a high chair for kids.